I’m delighted that Sheffield people have donated £3,000 to local homeless charities through my Christmas Appeal. I launched the appeal, for the Cathedral Archer Project and Roundabout, after local people raised rough sleeping as one of their top concerns during my community consultation, the Big Conversation. The Cathedral Archer Project gives homeless people a space where they can change their lives for the better, and Roundabout provides shelter, support and life skills to young people aged 16-24 who are homeless or at risk of homelessness. 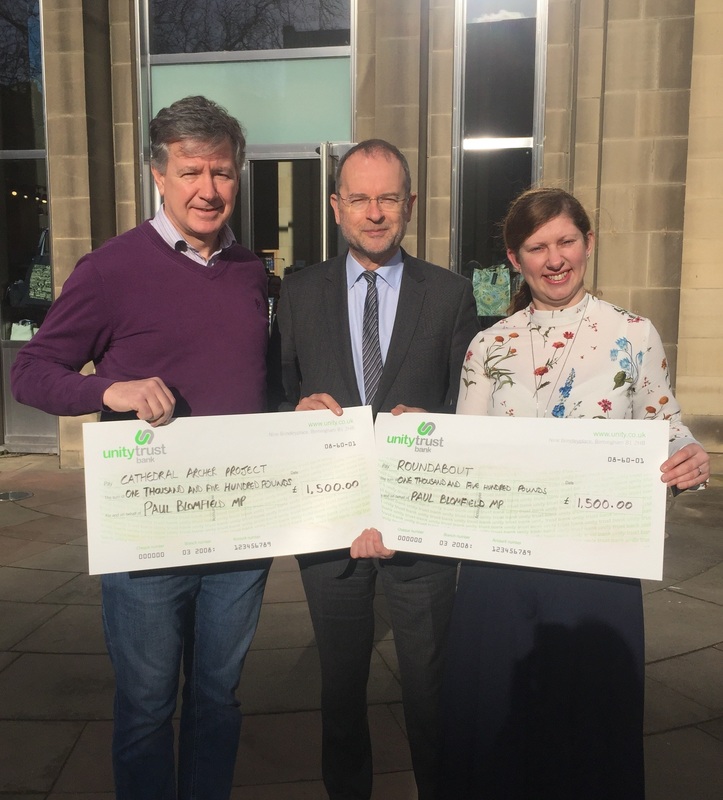 In Parliament I’ll keep pressing for policies that tackle rough sleeping, but practical action is needed now and these great local charities provide it. I’m so pleased that my Christmas Appeal raised so much money and want to thank everyone who donated. Above is a photo of me with Clare Collingworth, Fundraising and Communications Manager at Roundabout, and Tim Renshaw, CEO at the Cathedral Archer Project.